I love Butternut! Besides it’s gorgeous colour, it is a versatile vegetable that is super healthy and has far more flavour than pumpkin. It is naturally sweet, but is delicious as a savoury, main meal or side dish. It can be peeled, diced and boiled or steamed until soft and then mashed; cut into sticks and grilled in the oven as a type of chip; roasted; grilled; pureed in soup – you name it. One of my favourite ways of cooking and enjoying it is to cut it in half lengthwise before cooking. Scoop out and discard the seeds using a metal spoon (only because it has a sharper edge and you don’t waste too much of the flesh). Sprinkle it with a selection of spices or plain old salt and pepper. Wrap it in tin foil and place it on the braai grid. You could also pop it in the BBQ while you’re cooking your meat but it does need a fair bit of time to cook through. By wrapping it in the tin foil, the flavours and juices remain inside the parcel and it steams. Some people like to put it straight onto the grid, but again, it takes a while to cook through so my preference is to treat it kindly and give it the time it deserves. As a side dish to any week night meal, I often prepare it in the same way but leave it out of the tin foil. Simply put it directly onto an oven tray and season as you wish, then bake it in a pre-heated oven (approx 180°C) for 45 minutes until it is gorgeously cooked through and the edges caramelise. Then slice off a chunk and dig in. The skin becomes soft during cooking so I eat that too, an added bit of fibre, but my family prefers to remove the skin off theirs so I leave that up to them. In some countries the butternut, along with other members of the pumpkin family, are traditionally animal food on the farms and not eaten by people. Our friend who visited from Canada recently said that he had grown up with it being a sweet/pudding, like the famous Pumpkin Pie. To be honest, that sends shivers down my spine! But I’m willing to try it, just not today when I plan on enjoying it in all it’s savoury glory. Adding a little butter to it before baking takes it to a new dimension. So come on people, get experimenting with those butternuts that you see in the supermarkets but aren’t sure what to do with. Just take care when cutting through them as their skins are thick and knives can slip – ask me, my fingers know all about it. 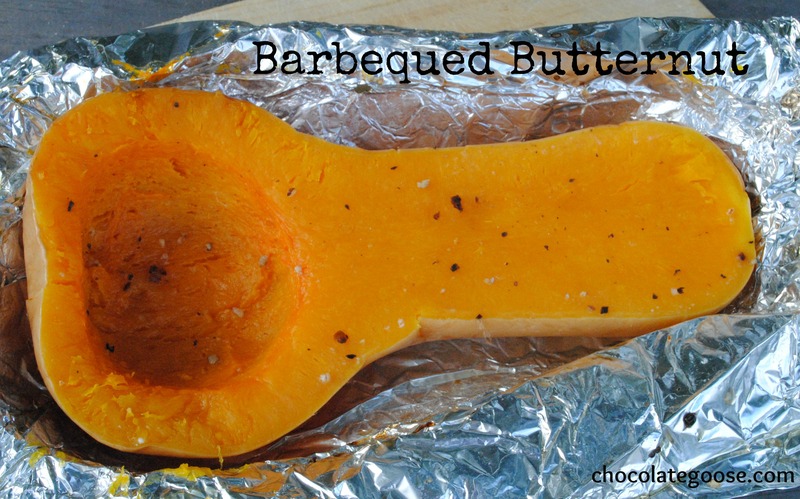 Butternut is a good source of fiber, vitamin C, manganese, magnesium, and potassium. It is also an excellent source of vitamin A and vitamin E.